This cruise is the perfect way to view the fireworks from downtown Nashville, while avoiding the traffic hassles. A VIP section on the Hurricane Deck offers the best seat to see the fireworks and includes a live band and a delicious buffet served on the Texas Stern. 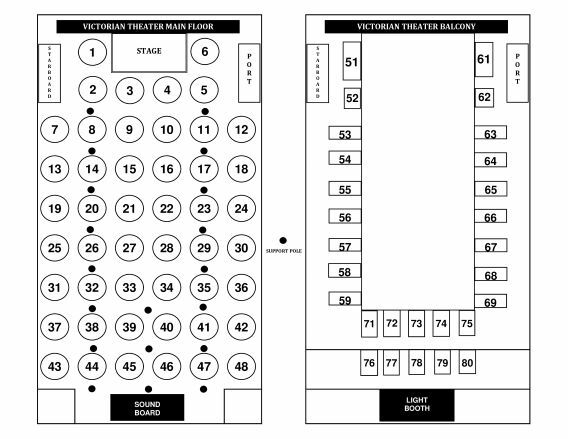 Seating in the Victorian Theater offers limited visibility of the fireworks but includes a delicious three-course dinner and our production show “Music City Nights” after the conclusion of the fireworks. So, how can you experience all the great music that Music City has to offer? Join us for an Evening Cruise on one Nashville’s most beloved entertainment attractions, the General Jackson Showboat. Our dazzling stage production, Music City Nights, is a show-stopping tribute to the many styles of music that make up the vibrant Nashville nightlife. Music City Nights begins with the music that made Music City famous – country music. You’ll hear country classics from the stage of the Grand Ole Opry to today’s chart-topping songs from country superstars like Luke Bryant, Carrie Underwood and Blake Shelton. Our musical journey continues with some of your favorite Southern Rock anthems, powerful soul ballads and the best of Rhythm and Blues culminating with a stirring patriotic finale. This energetic production features a live band, six rising stars, and dynamic music arrangements, dazzling choreography and stunning costumes all supported by state-of-the-art lighting, multimedia and sound. So, enjoy an evening with us on the General Jackson Showboat and experience what it takes others to do in a week of Music City Nights! Dinner begins – 7:20 p.m.
Theater show begins – 10:30 p.m.
Return to dock – 11:45 p.m.